One of the hot gift trends this holiday season was adult colouring books. Yes, you heard me right, adult colouring books. 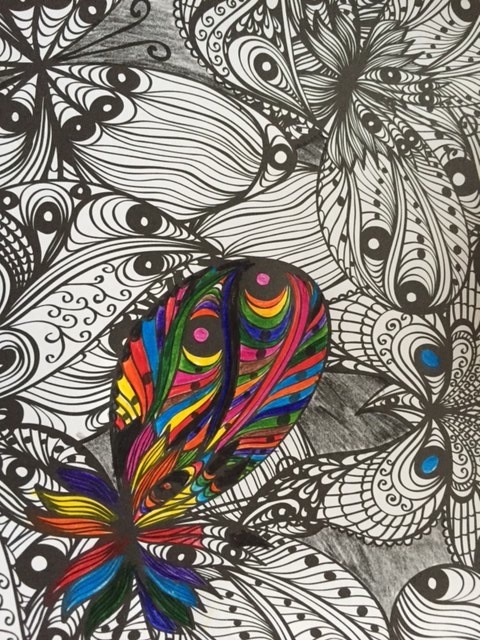 The idea is you de-stress from life by sitting down and colouring, just like you did when you were a kid. I had several friends who received these books as gifts this year. It scares me a bit that we need adult colouring books as a society, but as I started thinking about it more, I can see why they’ve become such a craze. We also love to do puzzles in our house, which is along the same lines. There are many therapeutic benefits of colouring and doing puzzles. In a world where pens and pencils have been replaced by computer keys, the tactile enjoyment of picking up a crayon and creating beautiful combinations of colours and artful designs is immediate. 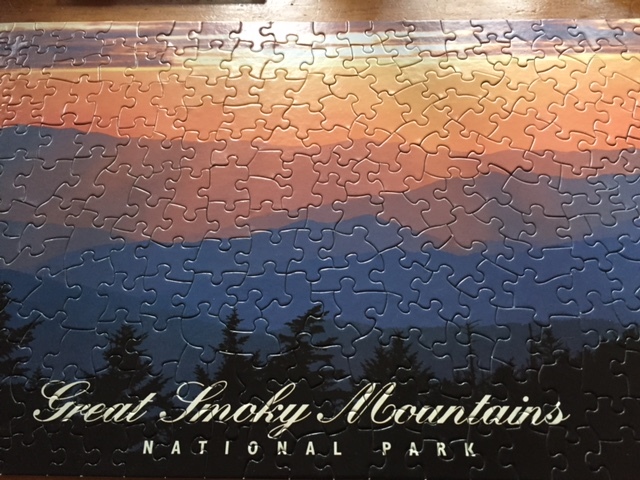 And while puzzles don’t give you the same creative fulfillment, they do give you an incredible sense of satisfaction as each piece takes you one step closer to finishing the darn thing and seeing the big picture. I think what makes colouring and doing puzzles so therapeutic is you can literally shut off your brain when you do them. We need this. We suffer from information overload. We need to take time to free our minds and let our brains zone out. It’s an unusual rainy day in January. Look at it as a gift. A gift to give yourself permission to do nothing, be still and enjoy down time. This week’s #HappyAct is to turn off the TV or computer today, forage into the back of that closet, and get a puzzle out or colouring book and start puzzling or colouring. Enjoy your lazy Sunday. Here are two mindless creations from our house this past week.